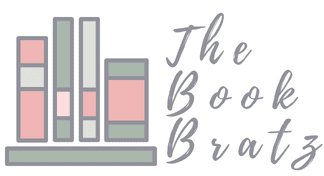 Guest Post: The Making of a Novel With Amber Mitchell! Hi guys! 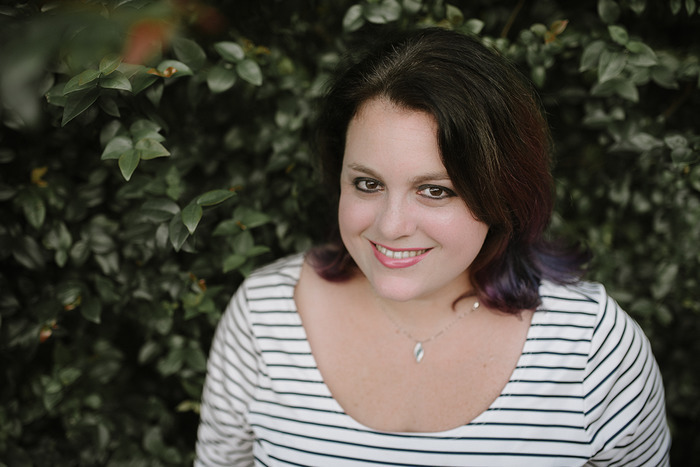 We have an exciting post on the blog today -- we sat down with author Amber Mitchell to get some information about her new book, Garden of Thorns, and also her writing process and the making of her novel! What we learned was pretty interesting and inspiring. Amber Mitchell graduated from the University of South Florida with a BA in Creative Writing. She likes crazy hair styles, reading, D&D, k-dramas, good puns and great food. When she isn’t putting words on paper, she is using cardstock to craft 3D artwork or exploring new places with her husband Brian. They live a small town in Florida with their four cats where she is still waiting for a madman in a blue box to show up on her doorstep. Garden of Thorns is her debut novel from Entangled Teen. 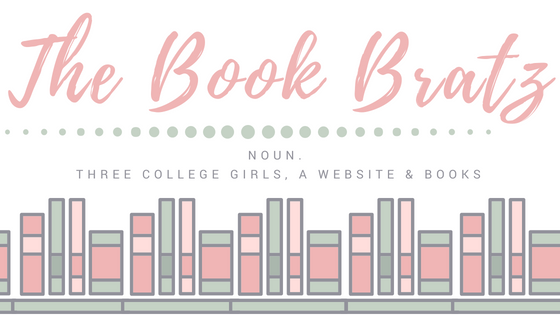 And now, without further ado, it's time to hand this post on over to Amber to explain the making of her novel! I’ve known I wanted to write books ever since I could remember. It was around my junior year in high school that I begin to realize that if I was going to write them, I would also need to learn how to get them published. My English teacher at the time was also a writer and I remember him mentioning offhand that he had an agent (I wish I could go back to that day and congratulate him properly for that now). He would spend his lunch breaks teaching me the mechanics of writing novels and a little about the publishing world without scaring me off, but also warning me that it wasn’t an easy process. To this day, I have no idea how he was able to prepare me for the heartbreaking road of publication without completely scarring me before I ever even tried. All through college and after, I wrote, I edited, I researched, I queried and received a mind-numbing amount of rejections. But during that time, I would garner partials, even a few full requests and usually an invitation to re-query with my next project. It took me six other shelved novels before I started writing GARDEN OF THORNS. It sounds cliché, but I could feel that this book was different. I didn’t want to rush querying it, I wanted to make sure it was perfect and even though there were difficult parts to write, it didn’t take me too long to get a first draft. After, I turned my attention to querying and entering contests. I didn’t find my agent through any online contests but I love them and think they are an awesome resource for writers. I found my agent through regular old research and querying. I woke up early on April 1st and since I had a full manuscript out with agents, I reached for my phone. Sitting there in my usually empty inbox was an email from my now agent offering representation. That I got my offer of representation on April Fool’s Day is still one of my favorite things ever. It felt somehow right for my book and journey thus far and was the perfect element of foreshadowing for how I got my publication offer. About a year later, after some revisions, I got an email from my agent saying that an editor at Entangled Teen was interested in my book but she sent back an R & R (revise and resubmit). I wanted to open the email right then and there but I happened to be selling art at a convention in Colorado at the time and had to wait for the weekend to be over. The revision was extensive and I took my time with it, addressing every area. I turned it in and was back to the waiting game. I decided to follow the requesting editor on Twitter and one day, before I started working, I checked my feed. My requesting editor had put up a cryptic tweet about emailing an agent to offer a publication deal. Could that be me? Ironically, about an hour beforehand, I’d checked in with my agent to see if she’d heard anything back and was waiting for her to respond. But that tweet couldn’t be talking about me, could it? I mean, what would be the odds of me checking in on the same day that the editor was offering? Cue 30 minutes of me sitting by my phone, willing my email to update, pacing back and forth like the movement would somehow make it appear. The email finally came and in it my agent remarked that I must be in sync with my book because the editor loved my revisions! After already working with her, I knew she would be the perfect fit for my book. Every single suggestion she made helped craft my manuscript into something worth being proud of. All of the holes that I couldn’t figure out how to plug were transformed under her watchful eye and she opened my perspective up to really stretching each of my characters to be the most interesting they could be. The last hurdle before I got my contract was acquisitions. When I first read about it, I pictured editors charging into battle with manuscript pages as armor as they fought for the novels they wanted to acquire. I’m pretty sure it’s not all that dramatic but it felt that way until I could sign my name on the dotted line of my publishing contract. 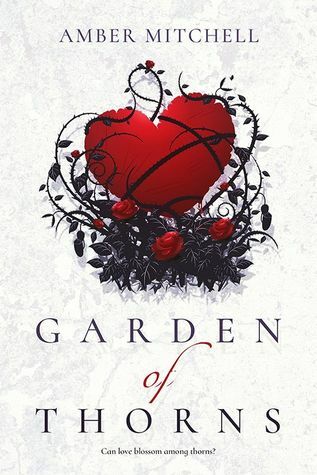 It took a few years for GARDEN OF THORNS to be published but I learned so much along the way and am so happy people can finally meet Rose and Rayce! Summary: After seven grueling years of captivity in the Garden—a burlesque troupe of slave girls—sixteen-year-old Rose finds an opportunity to escape during a performance for the emperor. But the hostage she randomly chose from the crowd to aid her isn’t one of the emperor’s men—not anymore. He’s the former heir to the throne, who is now leading a rebellion against it. Rayce is a wanted man and dangerously charismatic, the worst person for Rose to get involved with, no matter what his smile promises. But he assumes Rose’s attempt to take him hostage is part of a plot to crush the rebellion, so he takes her as his hostage. Now Rose must prove where her loyalties lie, and she offers Rayce a deal—if he helps her rescue the other girls, she’ll tell him all the Garden’s secrets. Except the one secret she’s kept for seven years that she’ll take to her grave if she must.